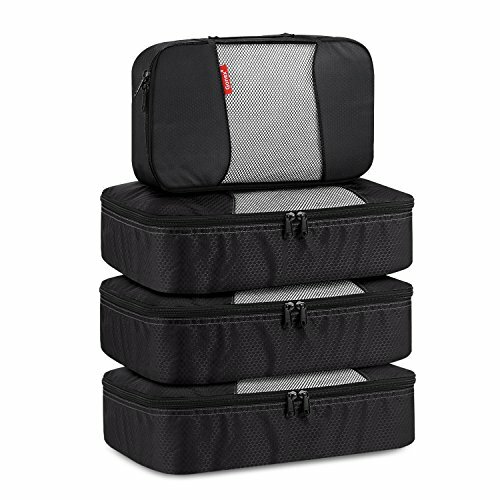 Packing cubes are growing in popularity as more and more of us look for ways to stay organized when we travel. Packing cubes can help us better arrange the interior space of our suitcases and kit bags, and will turn a packing novice into an expert in no time. What to Look for in Packing Cubes? Trust us when we say that packing cubes will completely revolutionize the way you pack your backpack, suitcase, or kit bag forever. These little cubes of layered goodness will help you keep all of your belongings in neatly and ordered compartments, allowing you to find whatever you are looking for in record time. Quicker to transfer your clothes to a drawer. Easily separate your clean clothes from your dirty clothes. Clothes don’t shift when in transit, reducing the number of creases. Weight – they will need to be light in order to help organize your belongings without making your luggage too heavy. Material – they should be made of durable, washable (or wipeable) material as they will need to withstand long journeys and multiple uses. Canvas or nylon packing cubes are good for this. Visibility – color-coded systems, or numbering systems, can make your life even easier when you need to find something super quickly. Breathability – mesh fabric is your friend. You need air to be able to circulate inside the cubes to prevent dampness from setting in thus causing mold on your precious belongings. Surely you just put your clothes in and zip them up, right? While it might seem pretty simple on how to use a packing cube, there are some tips that can make them even more useful. Use variety – use a combination of different sized packing cubes and colors that will allow for easier identification. Theme your cubes – take your organization to the next level and have each cube be a theme. Maybe you utilize your small cube for packing your socks and underwear, while you use your yellow cube for your evening outfits. The possibilities are endless. 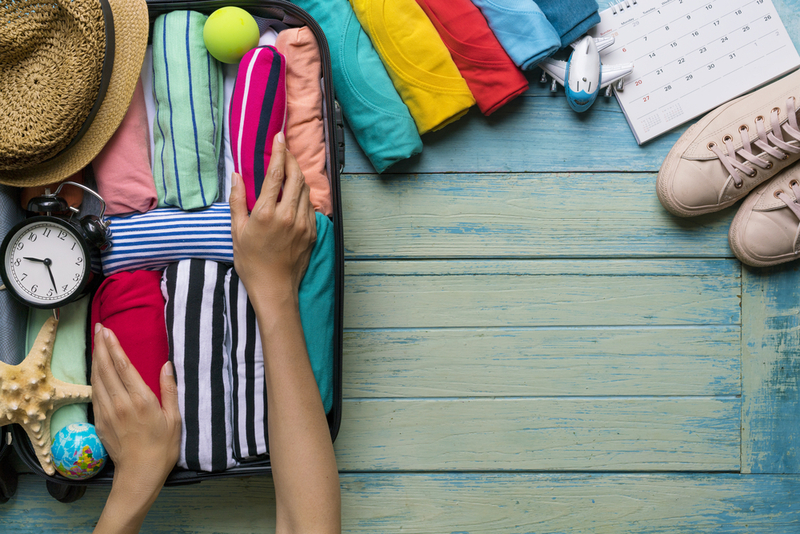 Roll your clothes – some people prefer folding but the common consensus is that rolling your clothes before putting them in a packing cube is best. The thinking behind this is that it saves space and reduces wrinkles. Don’t overstuff – however you organize your cubes, just remember to not overstuff them. Being organized means you can fit more in than you think, but it won’t turn even the best of packing cubes into a TARDIS. Once your cubes are packed, arrange them in your suitcase as you see fit. Most of these cubes will fit together like soft, overstuffed puzzle pieces, so you can have as much fun as you like arranging them to achieve maximum space in your suitcase. This set offers a clever combination of excellent value and outstanding practicality. With a selection of 7 different cubes to choose from, your clothes and belongings will be kept neat and tidy while in transit. There is also a handy water-resistant shoe bag, as well as two different sized waterproof bags perfect for keeping your makeup, sunscreen, and toiletries contained, should any leaks occur. For your added convenience, one of the bags is a TSA approved size, making it just right for airline approved toiletries or other liquids. The cubes themselves are made of lightweight and high-quality nylon fabric with strong double zippers that make for fast and easy access to your belongings every time. 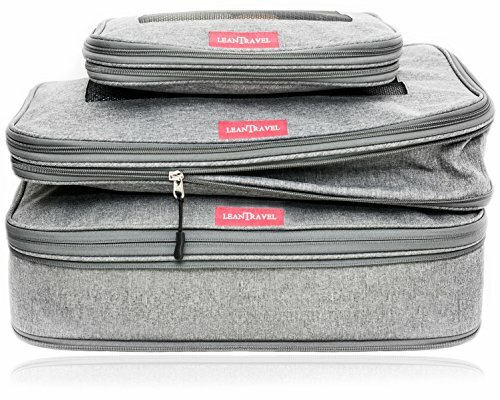 The innovative lay-flat design allows you to compartmentalize your belongings in “drawers” while you travel, and the 2-way easy-to-pull zippers provide reliable and easy opening. Supplied as a matching set, you can tailor the way you pack your cubes to fit what you want to bring with you. 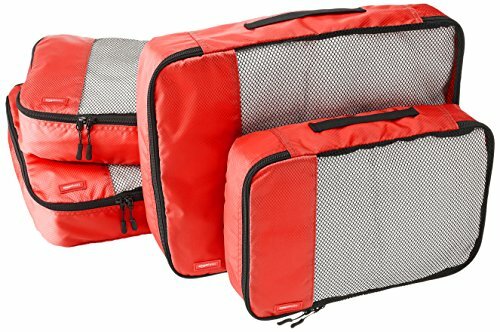 Made from durable nylon, this set of lightweight, breathable mesh packing cubes will ensure that your clothes remain wrinkle-free and organized while in transit, meaning you are ready to unpack and explore the minute you get to your destination. The Shacke Pak packing cube system is designed to help you neatly pack of all of your clothes tightly away. 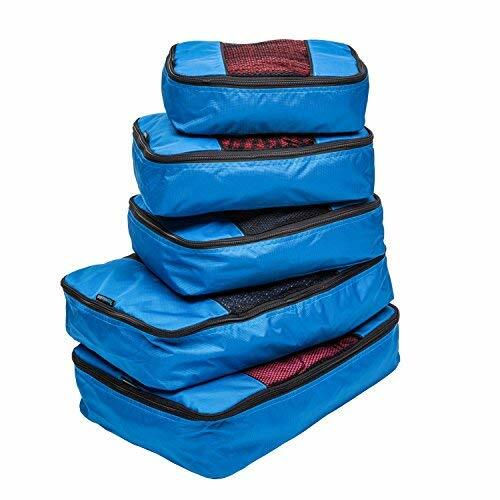 This set of 4 medium packing cubes measuring 13.75 x 9.75 x 4 inches and 1 small packing cube measuring 11 x 6.75 x 4 inches, will leave your clothes wrinkle-free, and your toiletries safe from leaks. Made from high-quality, durable, water-resistant nylon, these Shacke Pak’s are designed to withstand the wear and tear of travel. At 4 inches deep, each cube gives you optimal packing space. The X-Design web stitching creates a strongly reinforced lid that will hold your clothes in place and prevents the bag from sagging in the middle. Finally, the YKK zippers are smooth and sturdy; guaranteed to stand the test of time. Eagle Creek’s Pack-It Specter Cube system offers 3 different sized packing pouches that will help you to organize your luggage without adding extra weight to your suitcase. Made from water-resistant nylon, you can keep your belongings protected from leaks or spills along the way. Eagle Creeks innovative design also has a zipper that runs around at least half of the perimeter of the packing cube, meaning you can easily reach the contents. There is also a haul loop to make loading and unloading super easy. 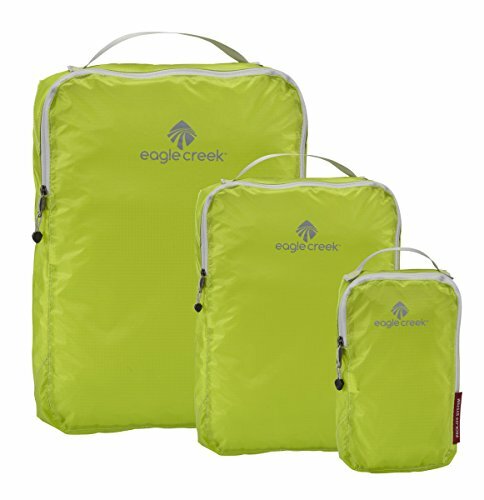 Eagle Creek’s packing cubes work like building blocks, and you can simply choose the sizes you need to meet your needs. Choose from Tube Cubes, Half Cubes, and more to make the most of your luggage space next time you travel. These packing cubes are color-coded and numbered, offering you awesome luggage organization options. The grey and red cubes are made to retain their flat rectangular shape so that no matter how full, your packing cubes always fit in your suitcase. They won’t bulge or sag, meaning you can neatly stack them like shelves or lay them flat on top of one another. Made from durable nylon fabric, with tough, long-lasting quality zippers, each of these cubes can fit as many as ten items of clothing. They adhere to international carry-on sizing so your packing cubes will fit perfectly in your carry-on luggage, allowing you to easily access your belongings during any part of your journey. Enjoy stress-free, efficient packaging with 4 identically sized packing cubes measuring 13 x 5 x 2.8 inches. As one of the most popular brands of packing cubes available, Gonex is famous for its ability to offer exceptional quality at affordable prices. This standard set of package cubes contains 3 medium-sized cubes and 1 small packing cube, all made from durable, rip-stop nylon, and they are available in a variety of color options. These lightweight cubes also include carry handles, sturdy double zippers, and can fit comfortably in a hotel drawer or in your carry-on. These will keep your suitcase organized and make items easier to find, which in turns makes for easier packing and happier, more relaxed traveling. Medium cubes measure 3.8 x 9.8 x 3.54 inches, while the small cube measures 11.8 x 7.1 x 3.54 inches. These small, gray, and mesh cubes are stylish looking and effortlessly practical, making them perfect for travelers looking to reduce the size and bulk of their luggage. 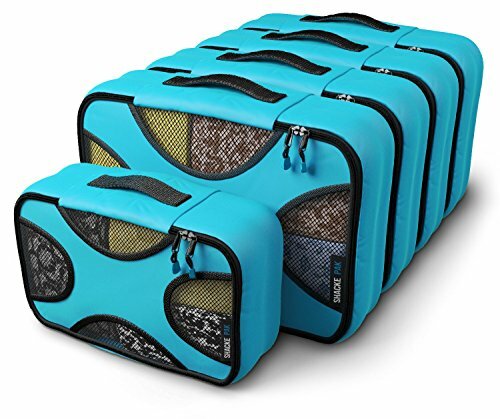 Each of the 3 cubes features a mesh window for breathability and the cubes can compress from 4 inches to just 1 inch, which allows for flatter packing and more spare space in your suitcase. The two larger cubes measure 15.5 x 11.5 x 4 inches, while the medium cube measures 11 x 11 x 4 inches. The LeanTravel system does not remove air from the packs, but simply compress the contents to make the cubes more compact. Worried about creasing? Don’t be; the premium quality polyester fabric and sturdy construction helps to reduce the risk of wrinkles during transit. The AmazonBasics line of products offers a great packet cube set that is not only durable, but also affordable. The set contains 2 large and 2 medium cubes; this combination is ideal for heavy packers or those with young families. The larger of the cubes measures an impressive 17.5 x 12.75 x 3.25 inches and can easily hold jeans and hoodies, while the medium measures in at 13.75 x 9.75 x 3 inches, making it perfect for pants, shirts, and dresses. The mesh front means you can easily identify your belongings without having to take everything out of your suitcase just to know what you have. Given their value for the price, these AmazonBasics packing cubes are well worth the investment to ensure hassle-free packing. With a higher price tag than many of its competitors, eBags is a brand that is known for its superior luggage solutions and high-quality travel products. Their packing cubes are just as durable and are some of the best selling packing cubes available today. In this four-piece combination, each cube is made of extremely strong Techlite diamond nylon, and premium YKK zippers for fast and reliable access. The set contains 4 different size cubes offering a variety of packing combinations that will ensure you can fit everything you need in your checked bag, carry-on, or kit bag. The cubes are also stackable, meaning that they can be used as impromptu drawers to save you the time and hassle of packing and unpacking at every location. 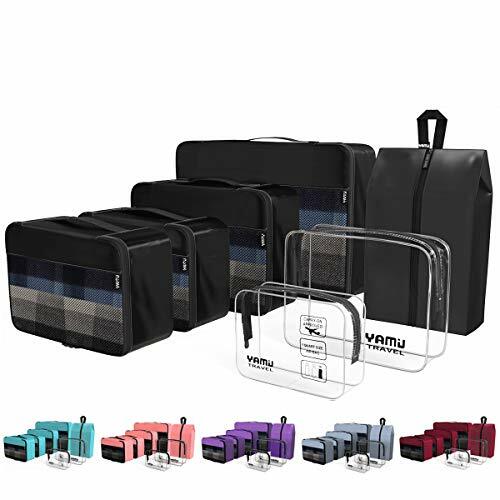 This 6-piece set has everything you need to keep your belongings safe and sound during transit. Available in a variety of colors, they are perfect for heavy packers, or families heading out on vacation. There are 3 different sizes of cubes in this pack, all of which are incredibly useful. The large cubes measure 17.5 x 12.75 x 3.25 inches and are perfect for jackets, towels, sweaters, and trousers. The medium cubes come measure 13.75 x 9.75 x 3 inches, just right for shirts, blouses, and shorts. The slim bags measure 14 x 5 x 3 inches, making them ideal for underwear, socks, and toiletries, we well as your adapters and cables. 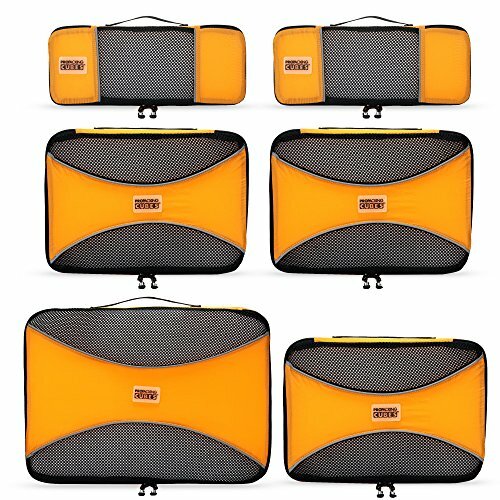 Made from strong, durable nylon, and breathable mesh, you will be able to organize your luggage interiors perfectly, and arrive at your destination with wrinkle-free clothing that is as neatly organized as when you packed. Packing cubes are, without a doubt, a traveling necessity. It can be easy to get carried away and overfill them, or stuff too many cubes into your suitcase at one time. The key to successful “cubing” is to separate and organize your belongings well, and to allow for easy access when you arrive at your destination. 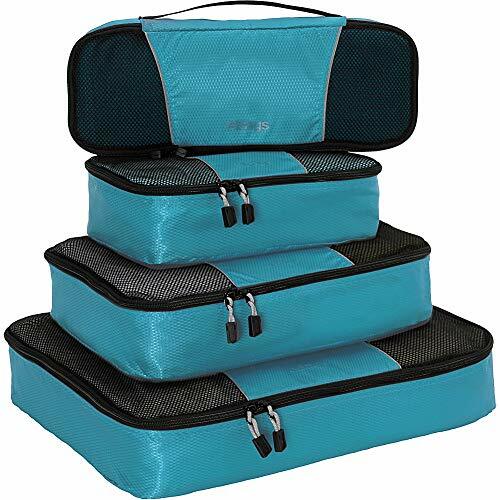 If you want to arrive organized, then packing cubes are definitely for you!